This bright and spacious detached house has been built in a traditional Scottish style and stands in 1 acre of garden grounds where guests can relax and soak up the atmosphere and wonderful scenic surroundings. Located above the pretty little coastal village of Badachro a former fishing village which is now a haven for yachts and small boats and would be a popular choice for guests wishing to bring their own boat. The pub in the village is lively and friendly for lunch, drinks or an evening out. For outdoor enthusiasts, there are excellent opportunities for climbing one of the many Munro’s in the area, walking, fishing, pony trekking, sailing and golf. 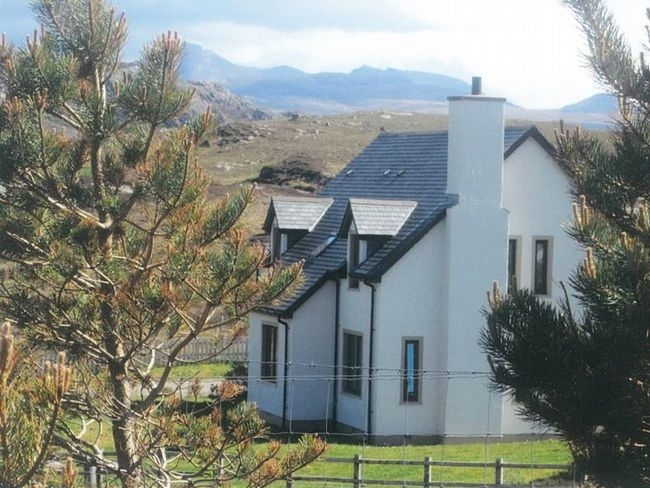 The popular resort of Gairloch is 5 miles away with excellent shopping, hotels, restaurants, boat trips, a beautiful beach and a good 9 hole golf course. The accommodation offers FOUR bedrooms: 3 situated on the first floor, 1 double with en-suite shower and WC, 1 further double and 1 twin bedroom. On the ground floor 1 double. Bathroom: with bath, shower cubicle and WC on the first floor. WC on ground floor. Lounge/diner: with open fire, Freeview flatscreen TV and DVD. Dining area with sofa bed. Kitchen/diner: with electric hob, oven, fridge/freezer and microwave. Utility room: with washing machine and dishwasher. 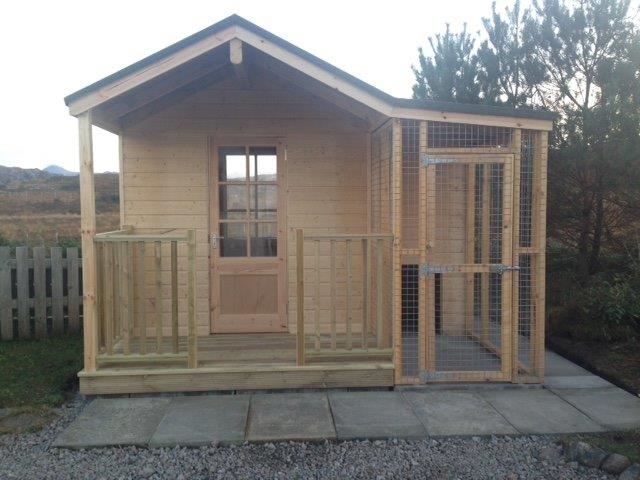 Outside: large enclosed garden with decked patio area to the rear with garden furniture, summer house and purpose built dog run kennel for guests to use should they wish to go out. Amenities: ample parking. Bed linen, towels and electric included. Regret no smoking. 2 well-behaved dogs welcome, dogs to be kept within the large open plan kitchen/dining area, a gate will be provided. Additional info: a refundable security deposit of £100 payable to the owner 1 week prior to arrival for clients with dogs. 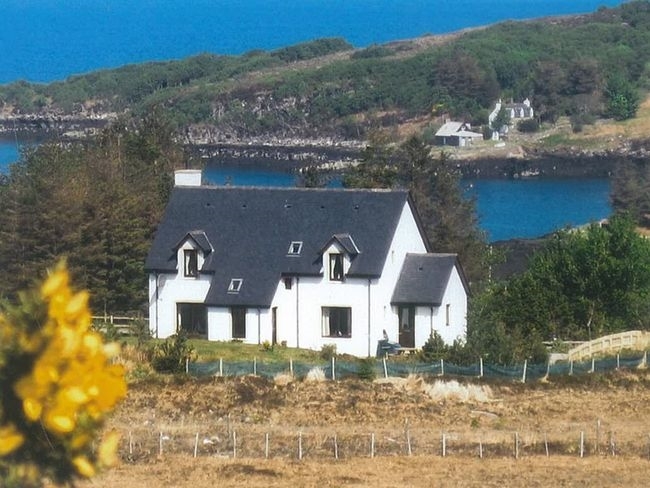 Location: beach 5 miles, shop 5 miles, pub and restaurant 5 minutes’ walk. Arrival: 3pm.